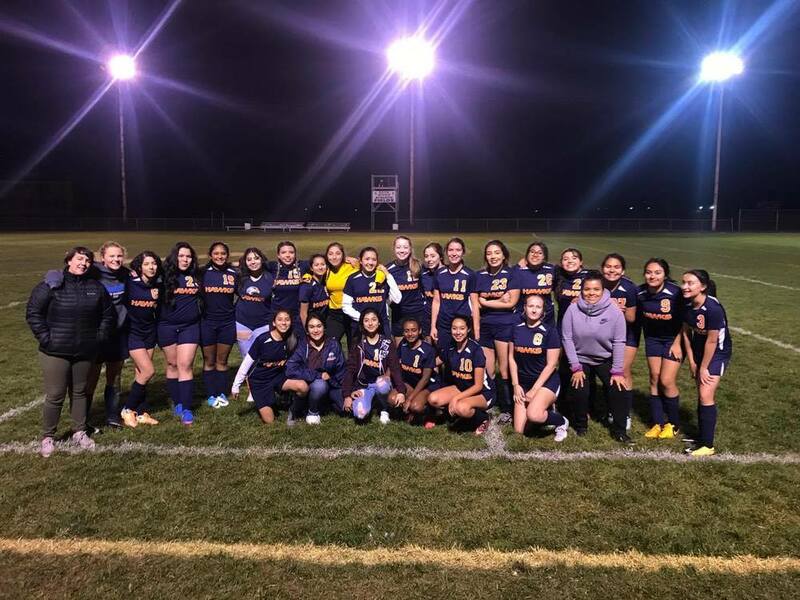 Thanks to the seniors who played their last game on Tuesday, October 24: Monica Ibarra (3), Luz Diaz (6), Jasmine Alvarado (9), Katy Robles (10), Bow Maiden (11), Shayna Dole (13), Ashelly Corona (14), Verania Ramos (23), Perla Martinez (24), Jennifer Martinez (26), Hailey Reavis (30). And a huge thanks to the coaches: Trista Rogers and Jazmin Ornelas. The girls gave it their all today and won. Score: 0-1 to College Place, a goal scored by Nayeli Galvan during the second half of the game.